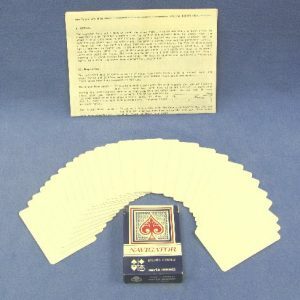 Effect: A card is freely selected, signed, initialed or marked in any way and returned to the deck. Spectator is asked to name a number, then to count down through the deck to that number – at which the card he selected will be found. 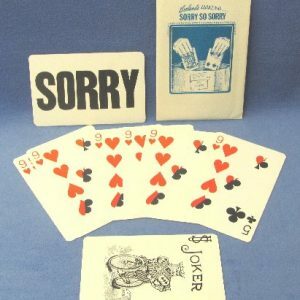 If not, performer promises, spectator can have the contents of performer’s wallet. 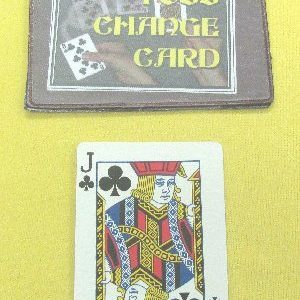 Card is not at number, so performer immediately brings out wallet from inside breast pocket, unsnaps and opens wallet and there is spectator’s card! 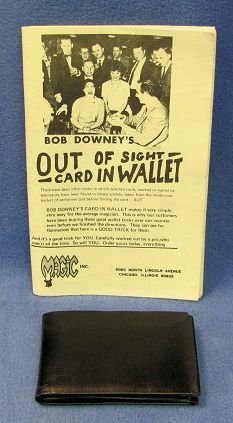 The” Out of Sight Wallet Trick” was invented by professional magician Bob Downey. You may know him for his sensational dove act, but Bob also does a lot of very good close up work. For over ten years he was associated with the Canadian Broadcasting Corporation as a featured performer on United Nations Armed Forces Shows in various parts of the world. Bob has lots of local and network television experience, and a good background in industrial, trade and shopping center shows. We tell you this because we want you to start your practicing with the Wallet Trick in full confidence that the man who designed it and worked out the routine knows his business. And as soon as you try it out yourself, you will agree. The premise of the prepared wallet is very simple — but you know that it is the simple tricks that are always the best. Bob Downey describes the wallet as having a ” secret tunnel pocket feature — the card literally goes thru a tunnel.” On examining the wallet, you can see how this comes about. The set up is very quick and easy, and the trick is very fast to execute. You must be seated – but most close up work is done that way anyhow.